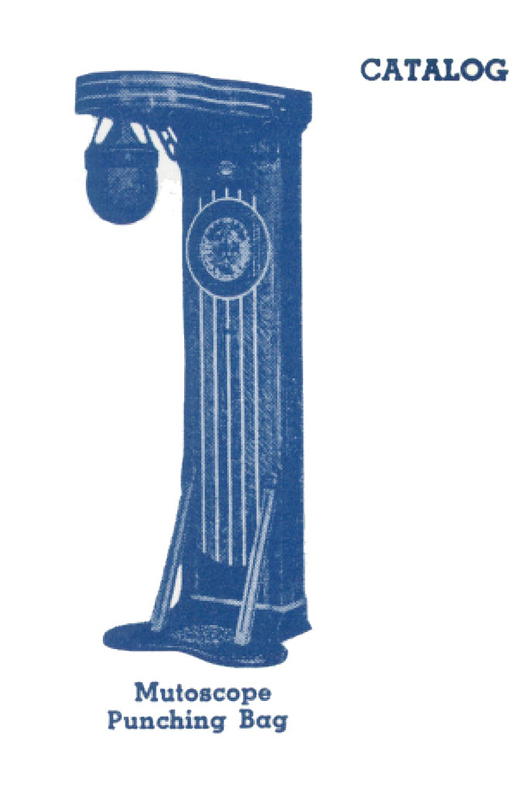 Mutoscope Punching Bag Strength Test Arcade Machine circa 1910. 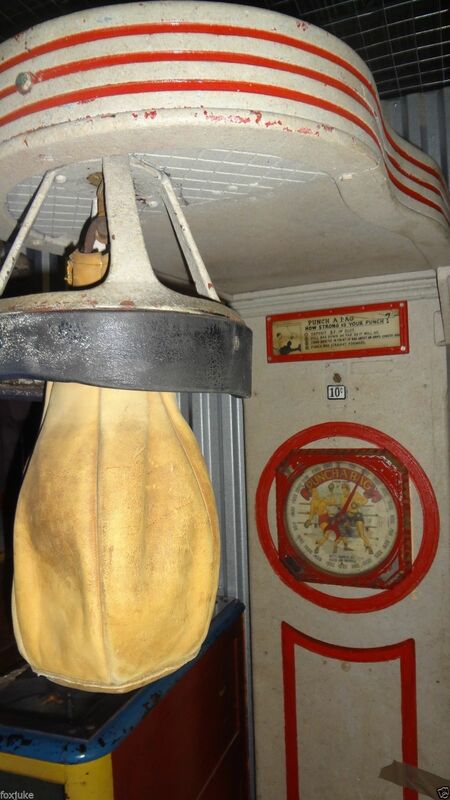 This is your opportunity to buy a great original untouched mutoscope punch bag machine as found in the penny arcade storage room from East Coast and warehoused for over 25 years. Made by the International Mutoscope Reel Co. Inc. New York, circa 1910. 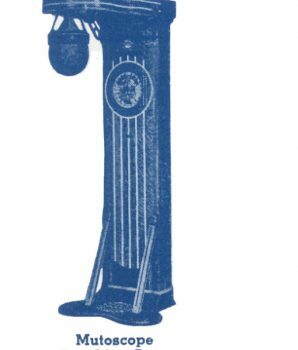 Complete w/ original punching bag, cast iron side coin box plate, dial and instruction card. Has a nice solid oak case. Size: 79″ T x 18″ W x cast iron base 32″ W. A Nice, untouched original piece in the exact same condition just as I found in penny arcade stock room. 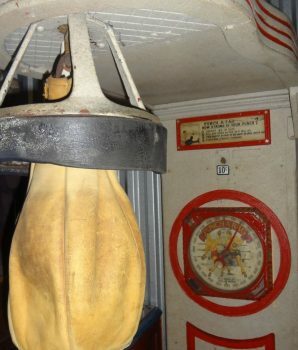 View our other Mutoscope Punching Bag Machine for sale.